Eastern Anatolia region is located in the east part of Turkey. It is the largest region of Turkey occupying 21% of the total area of the country. In the trails of history. Marked by some of the most striking examples of Turkish culture and architecture, presents visitors with a geography that begs to be seen. The historical treasures in the region carry the traces of layers of civilizations. Turkey's Eastern Anatolia region has also 14 main cities for you to explore. City of Noah, a crossroad of civilizations, a matrix of blended histories, cultures and tolerance. Agri is one of the important tourism centres of the east with suitable tracks of the legendary mountain for mountain climbing and trekking in summers, skiing in winters. Van is beautiful city with its lake like a sea, history like a legend and rare beauty. The city is located in the Eastern Anatolia region between Lake Van to the west and Iran to the east. Erzurum is a unique city with its history and natural beauty, located in the Eastern Anatolia region of Turkey. The city is famous its great Palandoken Mountain for winter tourism. Malatya is modern city located in the southwest of the Eastern Anatolia region of Turkey. This city is an important tourist destination with its natural beauty and famous cuisine. The region has high potential for tourism in Turkey. 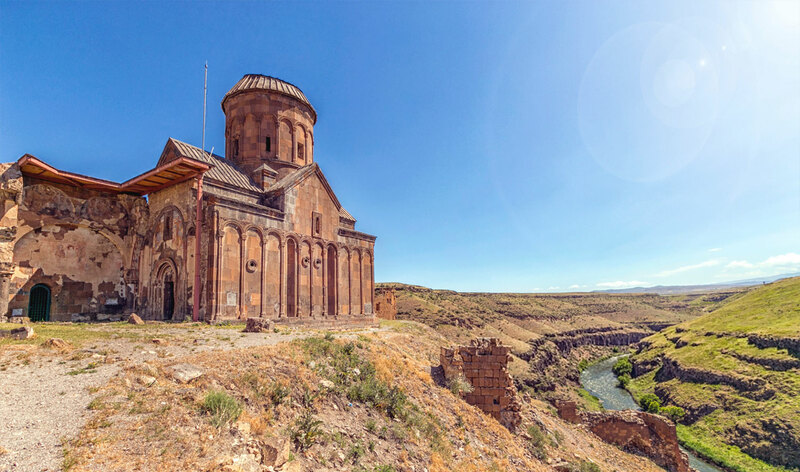 The remarkable treasures of Eastern Anatolia offer visitors an undeniable, once in a lifetime experience, where ancient structures of stone are juxtaposed against towering minarets and age old steeples. This mingling of culture and faith amidst the bustle of a traditional way of life is an inspiration to inhabitants and visitors alike.